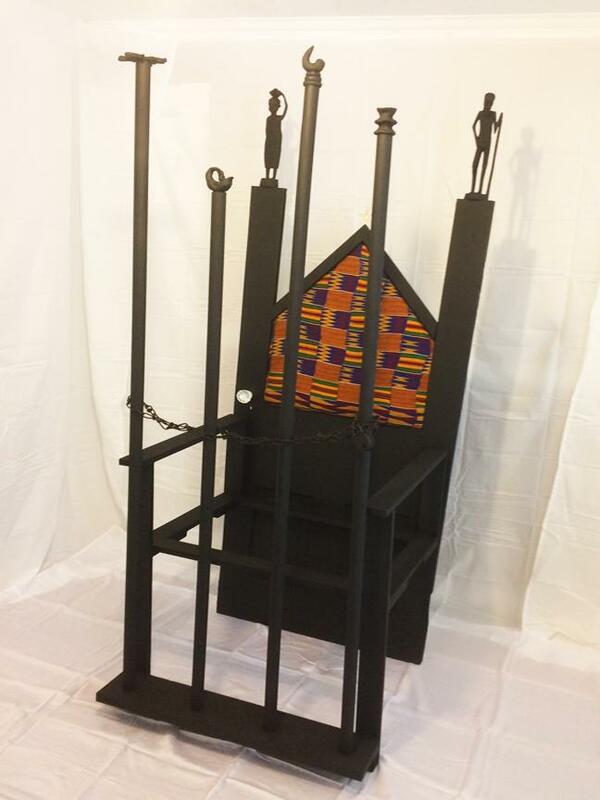 Brainwashed, 78" x 30" x 28"
Our educational system is perpetuating the myth of black inferiority. Pick up any history textbook and you'll find chldren of all colors are brainwashed into believing only white males had any impact on the founding and building of our nation. Nothing could be further from the truth. When black and brown children are finally intorduced to people who look like them, the topic is slavery. Why are we telling millions of children that they come from slaves? This scope is too myopic. What were they before they were enslaved? They were kings, queens, doctors, warriors, weavers, drummers, dancers, scientists, farmers, merchants, mothers, fathers, sons and daughters. Unlock Africa. We are incarcerating an entire culture.